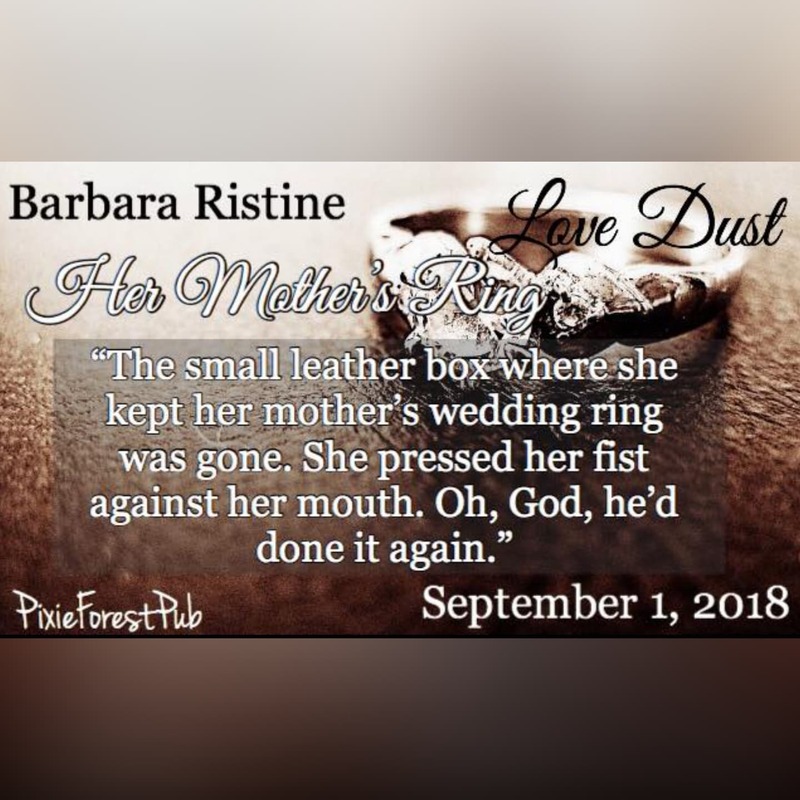 Barbara Ristine used to be an attorney, but she changed professional hats several times before she settled down to be a writer. Originally from New York, she moved through several states before landing in Reno, NV, where she lives with her family. She’s a graduate of St. John’s University (B.A.) and the College of William and Mary (J.D.). She’s a member of the Women’s Fiction Writers Association and the Historical Novel Society. . When she’s not mindlessly staring at the Sierras, she writes short stories, poetry, and historical fiction. Her work has appeared in, or is forthcoming in Bards and Sages, Literally Stories, The Meadow, Bewildering Stories, Piedmont Journal of Poetry, and The Magnolia Review. Where did your inspiration for your story come from? Actually two separate events occurred a year apart. I saw a news story about an older woman deliberately crashing her car into a pawnshop’s store front, and wondered what would make someone so angry or desperate to do that. Later, I was in a workshop, and we were given the prompt to write a scene entirely in dialogue where one of the characters is trying to hide something. From those two disparate things, Eddie and Dolores sprang to life. Oh, definitely Eddie. He clearly loves his wife even though he doesn’t say the words out loud. He has such a big heart, but he’s also part of that silent group of men we call the Greatest Generation. He’s not one for talking or showing affection but you know he would be lost without Dolores by his side. They’ve been married so long and they know each other so well, but Eddie can still surprise her, even though his surprises have unintended consequences. Lots of places! I do things with my family and we travel a fair amount. We like to go for long walks in town or hikes in the Sierras. Other places you will find me: at home reading or watching movies, in class at the local university, hanging out in my hammock. Oh, definitely Eddie. He clearly loves his wife even though he doesn’t say the words out loud. He has such a big heart, and he’s not one for talking or showing affection, but you know he would be lost without Dolores by his side. They’ve been married so long and they know each other so well, but Eddie can still surprise her, although his surprises have unintended consequences. I used to go to the university library to write, but now I have my office in a beautiful sunporch we added onto our home many years ago. It started out as a playroom when my children were small, then it morphed into their video game/tv hangout. 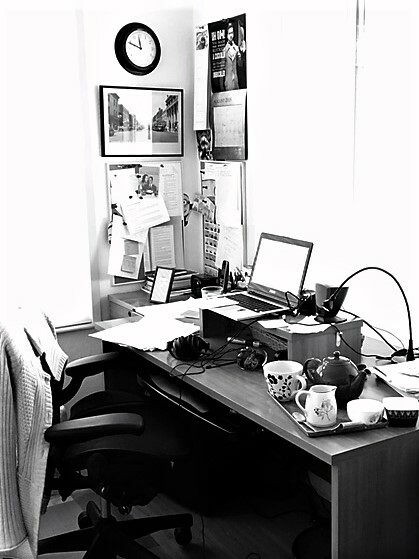 When they left for college, my husband claimed it for his office, but earlier this year he offered to move his office to our den, so I have a real place to write! Reading is a significant part of my writing life. I believe that you must read widely to fully develop as a writer. I read everything: literary, non-fiction, sci-fi, mystery, historical, women’s fiction, short stories, flash fiction. When I’m working on a project, I try to read things that aren’t in the same genre or on the same subject, just to stretch my mind. Reading helps to develop your own voice, and it helps you hear how words flow. English Breakfast tea, coffee, McVitties Chocolate Digestive Biscuits, books, and post-it notes. Doctor Who (I love both the classics and the reboot). I really enjoyed “Tootsie” by M. R. Ward. I liked how the speculative elements were woven into the love story in a seamless fashion. Jane Austen, although I’d really like to invite the Bronte sisters to join us for tea and conversation. We could talk about surreptitiously watching other people to gather material for our writing, and how families influence our relationships, both romantic and social. And of course, we’d talk about men and secret crushes. I’m working on a historical novel set in a London hospital during the First World War. As you can imagine, there’s quite a bit of research so it’s been a slow project, but I’m about halfway through the first draft. I’m working on several short story ideas and some flash fiction as well.